This week’s street work roundup around the globe starts with some new public art in London from Von, who recently released his Semblance collector’s box set. 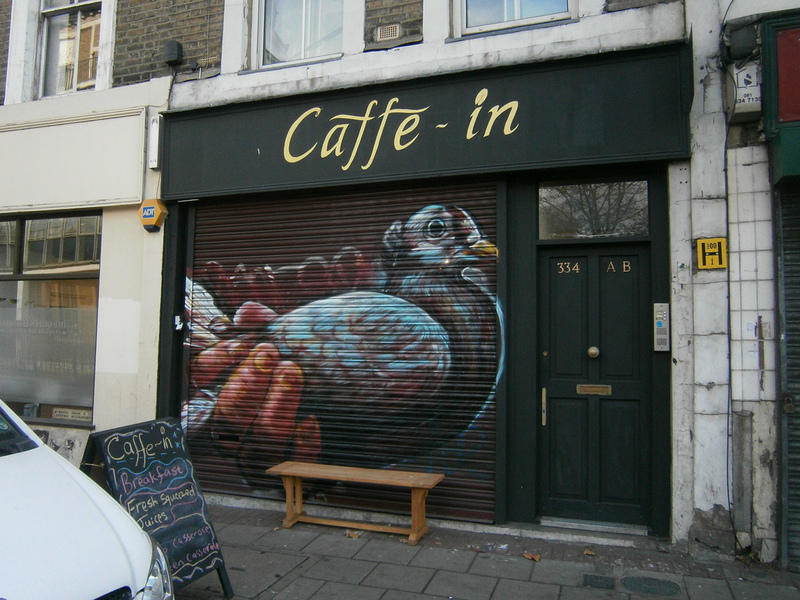 Other pieces seen after the jump include one from Gaia (London), Jen Stark (Florida), Stinkfish (Columbia), Btoy (Portugal), Pixel Pancho (Mexico), RETNA (Miami), Roa & Resto (Netherlands), and a couple possible Banksy’s in London. 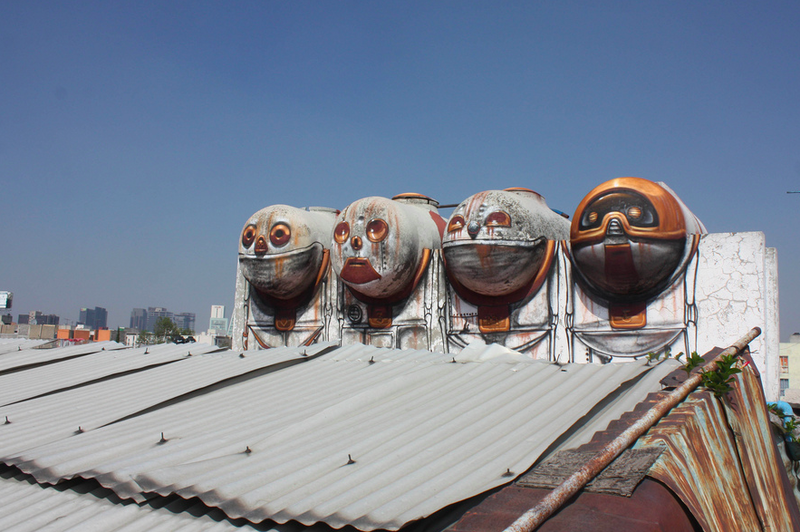 Pixel Pancho - "Robot Invasion" in Mexico City. 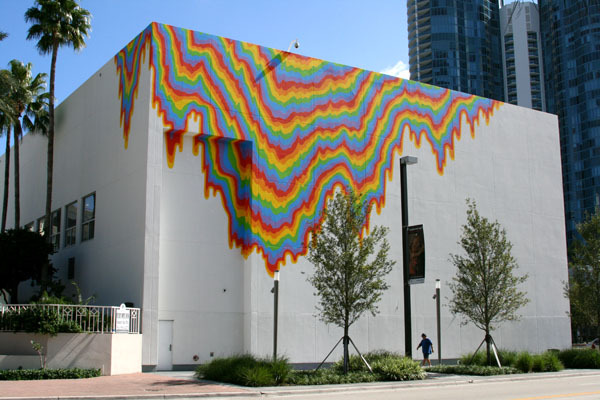 Jen Stark piece on the Ft. Lauderdale Museum of Art. 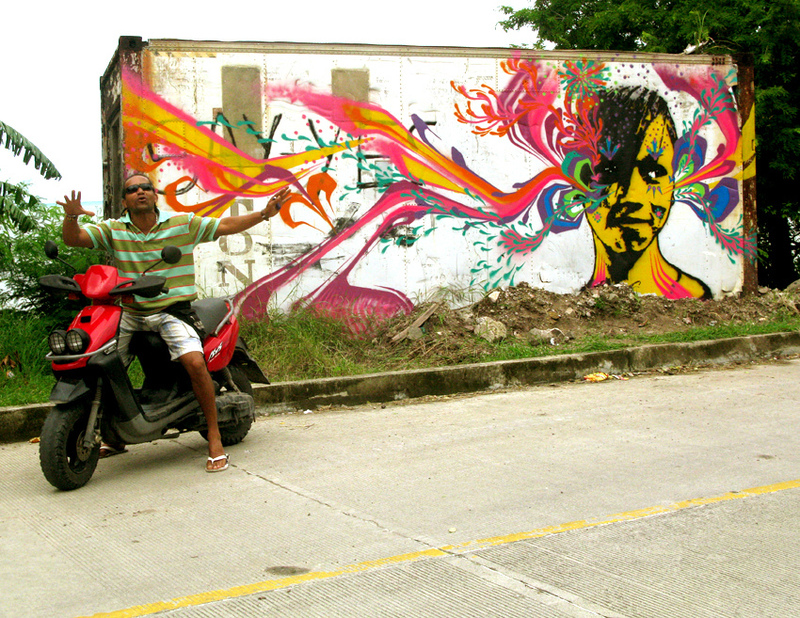 Stinkfish on Providencia Island in Columbia. 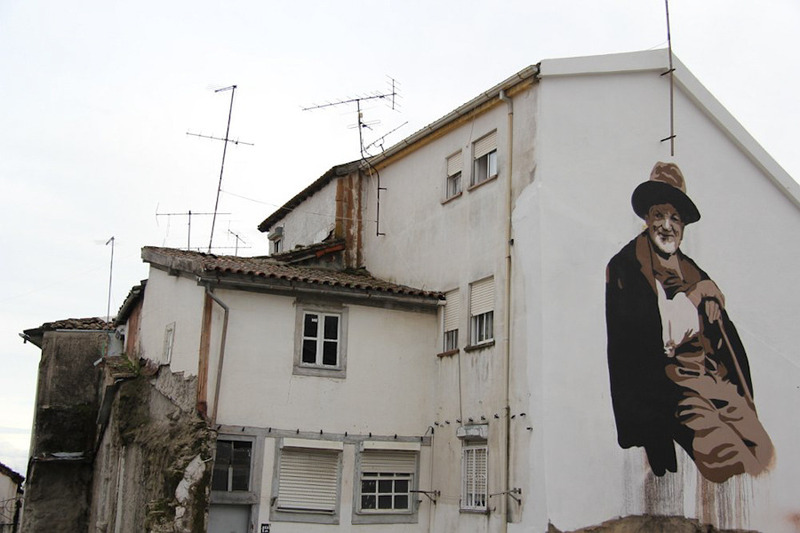 Btoy for the Wool Festival in Covilhã, Portugal. Photo from Unurth. 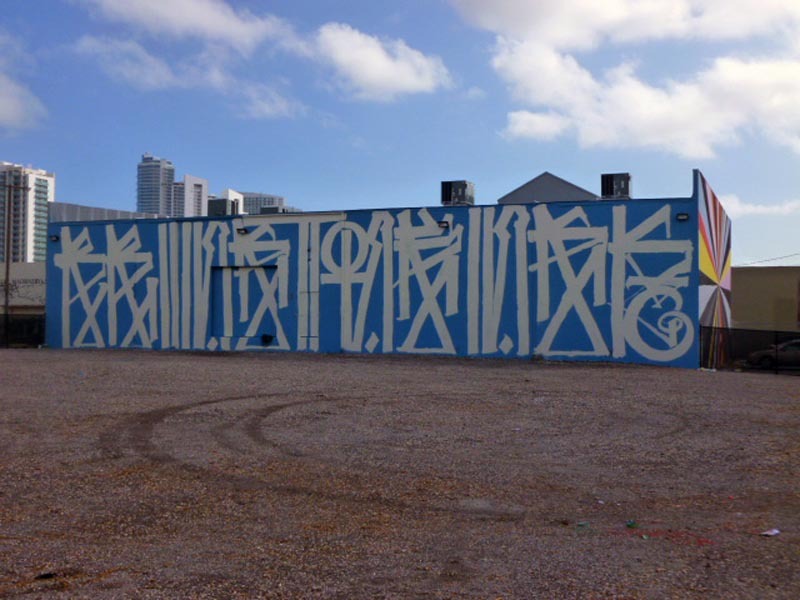 RETNA in Miami. 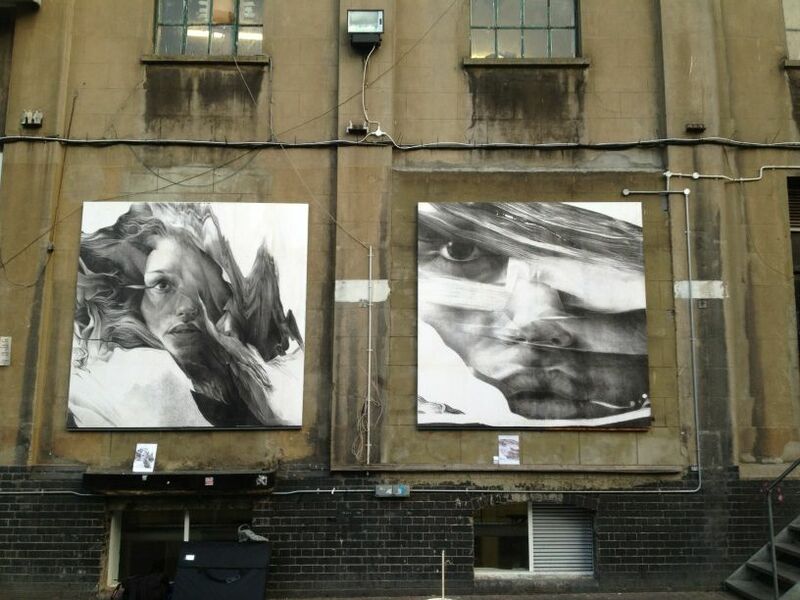 Photo from Streetartnews.net. 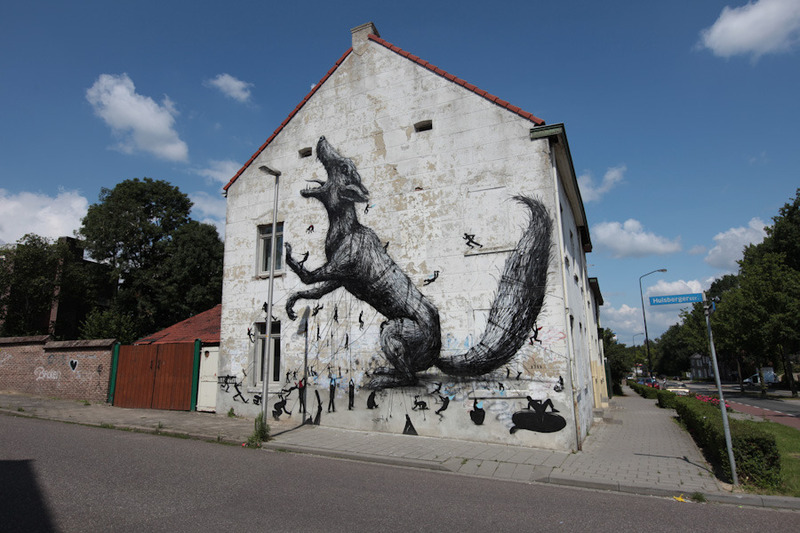 ROA & Resto in Heerlen, Netherlands. 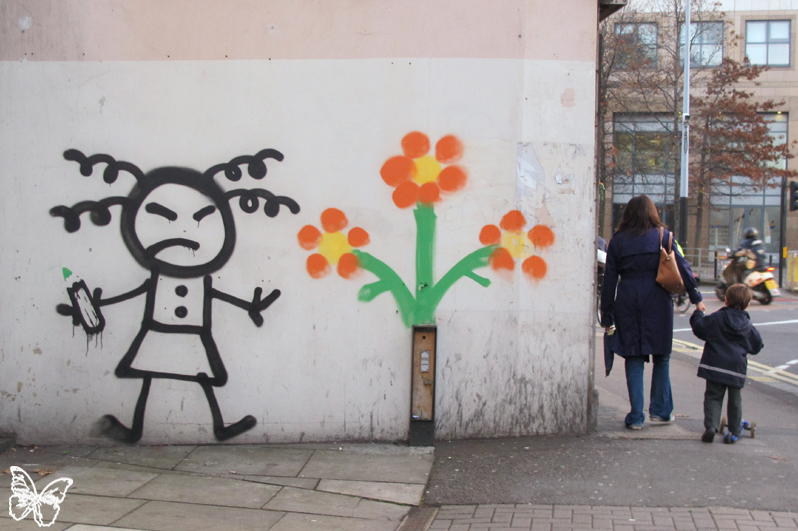 Possible Banksy in Hammersmith, London. Photo by Butterfly. 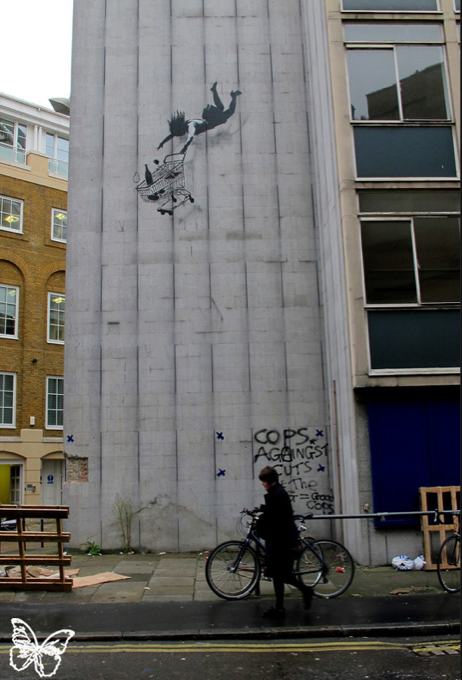 Possible Banksy in London. Photo by Butterfly. Categories: Features, Seen on Streets, Street & Urban Art, Streets World Roundup. Tags: Banksy, Btoy, Features, Gaia, Hellovon, Jen Stark, Pixel Pancho, Resto, Retna, Roa, Seen on Streets, Stinkfish, Street & Urban Art, Streets World Roundup.